Joining Lines is a collaboration between new and experienced crocheters from Nottingham and surrounding areas. Meeting new people, sharing skills and ideas and hearing stories about what got folk into crochet have been a huge motivation for me. I've enjoyed the reasons why people took part in this project and find the research very interesting. When I originally launched the project I had hoped that it would engage a wide audience and encourage new comers to crochet to get involved. It did just that and then some. After a slow start, I was inundated with doily contributions and words of encouragement which have strengthen my urge to work with the community. I'm excited about where the Joining Lines project will take us and can't wait to work with the community more, share the skills that my Granny Leitha taught me and revive a sense of belonging, building friendships along the way. Joining Lines 2018 will be displayed at the Bulwell Riverside from Saturday 30th June and will showcase the work of 37 crocheters joined together as part of an impressive textiles installation of over 146 crocheted doilies. This is a sight not to be missed. The Exhibition will run until 28th July and is free to visit. Below I have listed each participant and their comments about who taught them to crochet and why they crochet. Participants are aged from 28-80 years old with only one male taking part... my dad! Many people turn to crochet as a way to escape the chaos of life and unwind. Some even say that it has huge health benefits. I can totally agree with this as crochet is my go to when my anxiety is high. ​Why do you craft? Who inspires you? What are your views on community and skills sharing? I hope that the Joining Lines project helps us to focus on community over competition and allows us to find ways to step away from our screens, reach for a more hands on approach and explore different ways of thinking. "I taught myself to crochet using YouTube and crochet magazines. I've suffered with anxiety for many years now, crochet is the best way for me to relax, be in the moment and slow down a racing mind. It's the best thing I've done for my health." "April Towriess taught me to crochet on our lunch break. I was keen to learn a new skill." "My granny Leitha taught me to crochet whilst I was at university. I learnt to knit first but loved crochet more and haven'y knitted since! I crochet most days and have done since I first learnt some 12+ years ago. I use crochet as a way to unwind and its the first thing I head to when my anxiety is high. I love sharing what I know at workshops and events and wouldn't be without the crochet community I have found along the way." "Taught to crochet by friends and YouTube. I crochet to relax and to feel I've achieved something." "My Num taught me how to crochet (as well as sew, embroider and knit) but I only learned how to do granny squares. It was my husbands Granny Eileen who showed me how to do Irish crochet flowers that really started me off. She showed me how to recognise stitches and where they should go. I now crocet for fun - I made 250 of the Irish roses to decorate my wedding dress. I used to sell crochet items at craft fairs, I make blankets to keep loved ones warm and welcome babies into the world. Most of all I crochet to keep my hands busy and to de-stress." 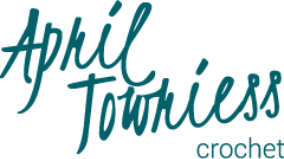 "April Towriess taught me to crochet. I pick up the hooks when I'm supporting her at her crochet events. I enjoy the process and have made a few small items, I'm a master at the chain stitch!" "My aunt taught me to crochet but all of my mothers family were knitter and crocheters. Crochet helps me to relax." "I knit and crochet but favour crochet. I taught myself to crochet back in 1964 after watching my sister crochet incorrectly. Crochet keeps my mind active and I believes that anybody can do it all it takes is a bit of patience." "I taught myself to crochet. Crochet is relaxing and I enjoy making things." "I taught myself to crochet through magazines and books and YouTube. I crochet for relaxation, to keep me same after a hard day at work and because I love it!" "I learnt to crochet as a child by my mother, the same person that taught my daughter, April Towriess, who is the curator of this project. I am very proud of my daughter and her Crochet Clinics, passing on her knowledge of crochet to others and to the next generation so it does not become a dying art form." "I taught myself to crochet using YouTube. I love doing it because it's relaxing and I love to create things." "April Towriess taught me to crochet at the Craft Studio up about 500 stairs!! I use crochet for stress relief and to make gifts for friends and family." "I have attended various crochet workshops with Rosie Pea and April Towriess. I enjoy crochet as it's time for me. It's a creative activity I don't teach and don't share!" "I have been crocheting for 6 years. I am self taught and crochet to relax." "I taught myself to crochet using April Towriess’ YouTube tutorial. I learnt to crochet to be part of this project. ​"
"I predominantly knit but have started to try more crochet. I have made crocheted toys and blankets. 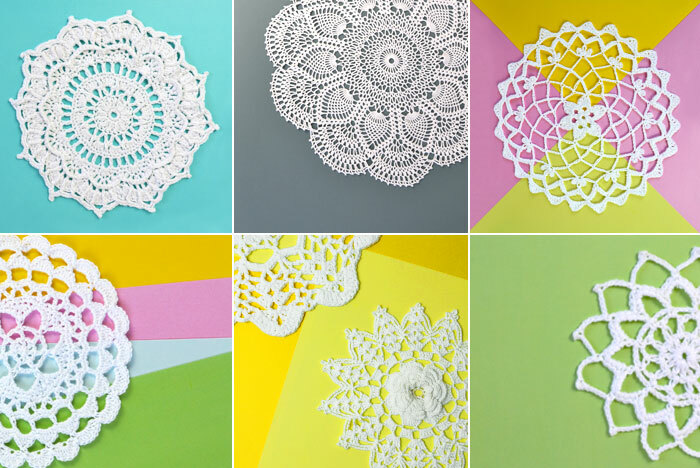 I thoroughly enjoyed making doilies for this project." "My mum and my granny 'at the farm' taught me to knit and crochet. I crochet because it is versatile, useful for building structures and 3D shapes. Unlike knitting there is only one stitch to worry about at a time - you can only drop one stitch! It is portable and uses minimal tools. I'm a textiles sculptor (www.zoomorphia.com) but I use crochet and knitting for some community projects." 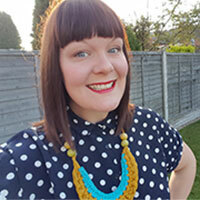 "Eleanor from Knit Nottingham taught me to crochet. I crochet because it relaxes me. It now feels weird to watch TV without working on a project. There is real joy and satisfaction in creating something. I crochet because it's faster and more forgiving than knitting." "I was taught to crochet by my mother-in-law and consider it a gift. I never thought I would get the bug for it as much as I have. I crochet as a stress reliever and to make things for my daughter." "I started to learn to crochet 8 years ago. A lady at work could crochet and a few of us were interested to learn. This lead to us having little daily crochet lessons during our lunch hour! It didn't take long for me to catch the crochet bug. After mastering the basics I soon ventured onto the internet to find more complex patterns. I find crochet a good way to unwind from a stressful day at work. It's a fun thing to focus on and forget about everything else that may be going on at the time. I love seeing my creations come to life and work up quickly. I've also made some great friends through crochet activities and groups." "From being small I have loved crafting. I learned to knit at age 8 but didn't learn to crochet until I was in my early 20s. A neighbour taught me. I have loved it ever since." "My mum, Pamelia taught me to crochet when I was a kid. I like making things and crochet gives me the freedom to avoid using patterns and go where my hook takes me. Doilies, using a pattern, were a challenge!" "My mum, Josepha taught me to crochet when I was 13 because I wanted her to make me a skirt and top. She said she didn't have time so taught me. I love the freedom of design and flexibility crochet gives, next to singing and my dogs its the best relaxing thing I do." "I am an artist living in Bulwell. I am married to Helen and we have been together for 42 years. When Helen and I were courting and were saving up to get married, Helen would sit and crochet so I thought I'd have a go myself. Helen taught me to crochet and eventually I started to string yarn together and made a blanket. I have not crocheted since but wanted to support my daughter, April Towriess, with this project so was inspired to pick up a hook again and have a go. I have found crochet very therapeutic and calming and now feel inspired to created the blanket I made all those years ago!" "My mum taught me to crochet but only 2 years ago. Before that, I just didn't get it! It's a relaxing and rewarding way to spend my evenings. I enjoy doing something tactile after using a computer all day at work. I also like the idea of keeping traditional crafts alive in the modern age." "April Towriess taught me to crochet on our lunch break. I was curious to try and get involved in the Joining Lines project." "I am self taught. I am a first time crocheter and wanted to join in with this community project." "My daddy (with numerous refreshers from April Towriess) taught me to crochet. I love the lacey detail that can be created with just a few titches on almost anything!" "I think it was my mamma who taught me to crochet when I was young, 7-8 years of age perhaps. All I can remember is making circles, I never seemed to do rows and rows or squares, just circles. Crochet went nowhere after that until one day whilst I was out with a friend. We were looking at craft magazines and I saw an elephant on the front of a crochet magazine. My second granddaughter, Ella, had not long been born and I decided I would have a go and make the elephant from the magazine. I purchased the magazine, went in search of yarn and hooks and then realisation dawned... I'd never used a pattern before. Never even looked at one! "Oh well, how hard can it be" I thought. Well, it was a bit hard, such a small project for bug clumsy hands that hadn't used a hook for years, let alone made anything other than a circle. I persevered and it is still in use today, nearly 8 years on. I keep meaning to find the magazine and remake it as I am far more established a crocheter now, still untidy but confident enough to take on projects. I mainly make accessories, toys and garments, though when I put it like that, there's few categories left that I haven't tried!" "I taught myself to crochet 50 years ago. I crochet for pleasure, mostly blankets. I haven't made a doily for years as sadly they are no longer desirable." I can't actually remember how and when I learned to crochet. I know I was quite young and it may have been via a member of my family. I remember my Step Grandmother crocheting very intricate cotton thread book marks, so it may have been her. I retaught myself to crochet early last year when I found I had time on my hands following a bout of flu. This was the start of my new addiction, fed by the internet and all it's wonderful suggestions, patterns and instructional articles and videos. My iPad is my best friend and I am pretty sure I would not have taken up this craft again without it. I find crochet very rewarding, therapeutic and also quite lucrative since I have started to sell a few items. Initially to family and friends but now via my Etsy shop, Hooked Creations by Sue." "My aunt taught me to crochet. I enjoy making gifts for people and also giving my work to local charities." "I knit and have always wanted to learn to crochet. April Towriess attended our local Knit and Natter group and taught me to crochet. I like to keep my hands busy." "I was first shown how to crochet by a girl called Mish who I had worked with in Nottingham but I also did a winter season with her in a resort called Wanaka in NZ. She made beanies for her instructor mates (ski and snowboard). I left crochet there until several years later when I finessed my skills using books and YouTube videos. I used to visit the knit and natter group at Knitworking in Gedling. I find crochet easier than knitting and it seems to make up more quickly which is obviously great! I still haven't been able to make a garment and don't often finish items but I enjoy the process." "My mum taught me to crochet, knit and sew when I was about 10-11 years old. We made dishcloths until I got the tension correct. I love crochet as it's so versatile, colourful and easy to do, and each project takes you on a journey. I belong to a knitting and crochet group and also a machine sewing group." I started the year with a huge to do list of good intentions but its bloomin Easter already and I'm lagging behind. I absolutely love being organised and planning but I just can't seem to get my patterns completed at the right time! I'm currently working up two gorgeous bunnies to complement my amigurumi range over in the Esty shop but they are in no way ready to launch... oh, did I mention its Easter this weekend! Doh! Oh well, they will be available at some point during spring at the very least. Anywho, so not to totally miss out on the Easter making frenzy I thought I would share a pattern a designed a couple of years ago for a workshop. This cute little bunny pattern is a great next step project for beginners as it is super quick to make, using just a couple of increases and decreases. I have written the pattern out, starting from the top of the head and closing at the bottom to create a flat base which will form a small toy that stands freely (...in theory!) But for the chocolate lovers out there, why not finish at round 19 and pop a cream egg in the middle instead? This makes a great gift idea and come on, who doesn't love a chocolate filled bunny?! I know I do, but I'd fill mine with a caramel egg instead. Don't get me started on the 'cream egg is not a cream egg as I know it' fiasco! Ooh and lastly - Have you heard? I will be once again heading over to the fabulous Knit Nottingham this June and teaching an Amigurumi Workshop. We'll be working up this pattern as well as other super cute animals. To find out more or to book your place (if there is any left) click here! ​For those that just can't wait, here's the pattern... enjoy! Rnd 22: *Dc2tog, repeat from * around. Fasten off and sew up to close hole. Rnd 1: Ch 2, work 6 dc into second ch from the hook. Join with a slst to form a ring. Fasten off leaving a yarn tail about 15cm long. Repeat for the second cheek. Sew up centre of each circle and attach cheeks into position onto the front of the body. Using black thread stitch two eyes and a nose to finish the face. Rnd 1: Ch 4, dc into second ch from hook and across. Turn. Rnd 2-8: Ch 1, dc across. Fasten off. Repeat for other ear panels. Place one white ear panel on top of one coloured ear panel (wrong sides facing). Dc around the two long edges and one short edge. Fasten off leaving a yarn tail about 20cm long. Repeat with the other ear. Sew in ends and attach to the top of the head. Wrap yarn around the end of two fingers several times, with a separate length of yarn wrap between your fingers, pull tight and knot to bunch yarn together. Remove from your fingers, trim the loop ends and roll between your palms. Trim off any straggly ends and attach your cute little pom pom tail to the bottom back of the body. Voila, your super cute crochet Easter Bunny is complete. Have a Hoppy Easter my lovelies. Wow, I made a video! Ooooh I made a video tutorial!!!! I am hoping this is the first of many video tutorials. I am venturing into new territory here and its been a massive learning curve. I never expected it to be plain sailing but by gum its made my brain hurt. The tutorial is explained in UK terminology and has been designed as part of my Joining Lines project with children and beginners in mind. I hope you find it clear and enjoy having a go at making one of your own. This simple daisy chain tutorial uses chain stitches and slip stitches and is a great project for anyone starting out on their crochet journey as well as those looking for a quick spring make. It can be worked up in any yarn weight and fibre with corresponding crochet hook. I have used Stylecraft Classique DK Cotton in white and a 4mm crochet hook. I'm all for breaking the mould, so I encourage you to experiment with the amount of chains you use. The video gives you a basic starting point, so go wild! Begin by creating a slip knot and attaching your yarn to your hook. Rnd 1: Chain 10, join with a slip stitch to form a ring. Rnd 2: *Chain 8, slip stitch into the ring to form a loop (your first petal). Repeat from * 5 more times. ​Fasten off and sew in ends. Chain: To make a chain stitch, simply put your yarn over your hook and pull through loop. Repeat, yarn over, pull through until you have your desired amount of chain stitches. Slip Stitch: A slip stitch is very similar to a chain stitch, simply put your hook into the required space, in this case it is the centre of the ring, yarn over and pull though the centre of the ring and the loop on your hook. Its as simple as that! Remember, have fun, enjoy the process and happy crocheting! If this pattern seems a little easy, then why not check out my Unity Doily pattern, here.